How do I get affordable car insurance for my classic car? Anyone driving a distinguished older vehicle will know that finding classic car insurance at an affordable rate is not an easy task. Whether you're getting behind the wheel of a Humber Imperial, a Daimler Majestic Major, a Rover P5B or a more modern classic such as a Ford Capri or VW Beetle, there is a lot to consider when shopping for suitable car insurance and attempting to drive premiums down. You may expect that classic car insurance is the same as conventional car insurance. However, because of the unique nature of the vehicle there are also aspects to these policies that make them different from standard insurance. Veterans: The name that applies to vehicles manufactured up to December 1904. Edwardian: Vehicles manufactured from January 1905-December 1918. Vintage: If a classic vehicle was manufactured from December 1918-1933 it is considered 'vintage'. Classics: These are cars typically manufactured pre-1974. Cherished: This refers to collectible or rare cars that are five- to 10 years old. Agreed valuations: This is the amount that will be paid by the insurer if your classic car is written off as a result of an accident or if it is stolen and cannot be recovered. Agreed valuations are advantageous for classic car owners because they ensure that they receive a fixed payout and that the car will not be assessed on market value if a claim is necessary. However, it is important to ensure that the valuation is guaranteed and owners should bear in mind that some insurers will require an independent valuation. Increasing valuations: The value of many classic cars increases on an annual basis and so you may want to find a policy that will alter the valuation year on year. You should also consider the cost of embellishers and accessories. Laid-up insurance: If your classic car is more of a project than a working vehicle then take out laid-up insurance to ensure it is protected from theft or mishaps. Wedding/hire cover: Check to see if your classic car will be covered if you plan to rent it out. 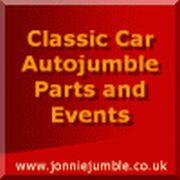 Track/rally cover: If you want to use your classic car in a rally or hill climb, ensure this is specified on your policy. How do I save money on classic car insurance? Mileage limits: Most classic cars are secondary vehicles and are not used daily. As such you may be able to cut premiums by agreeing to a mileage limit. Enhancing security: Modern car alarms, immobilisers and tracking devices can earn sizeable discounts with some insurers. Locked garage: Keeping your classic car in a locked garage overnight could cut premiums by around five per cent. Owner's club discounts: Members of owner's or manufacturer's clubs are often seen as more enthusiastic about their vehicles and more likely to take care of them. As such several specialist classic car insurers may offer discounts to club members. Voluntary excess: Each insurance policy will include a compulsory excess (an amount you must pay in the event of a claim). However, with most policies there is also a voluntary excess (an additional amount that you agree to pay if a claim is necessary). Increasing this excess should lower premiums. Pay upfront: Most insurers carry interest charges if you pay monthly, so paying premiums upfront on an annual basis could cut your expenses. In addition, classic car owners should take the time to shop around for quotes every year ahead of their renewal date. This is because most insurers offer introductory discounts to new customers. Though specialist insurers often offer more extensive cover for classic cars, it's still worth using a car insurance comparison website to see how their quotes compare to those of conventional insurers, particularly if you are driving a cherished vehicle that the majority of providers would be willing to insure.